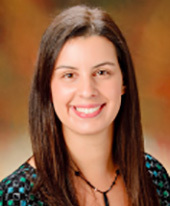 Nicole Ryan, MD is an Assistant Professor of Neurology and Pediatrics and Section Head of Community Neurology at the Children’s Hospital of Philadelphia. She obtained her MD from Albert Einstein College of Medicine in New York City and completed her Pediatric Neurology Residency and Fellowship in Clinical Epilepsy at the Children’s Hospital of Philadelphia. Current research activities include the National Infantile Spasms Consortium, the Early Onset Epilepsy study, and the Prevent West Syndrome study. She is primarily a clinician and is an active advocate for children with epilepsy.